Senior officials at CIA headquarters in Langley, Virginia, are alerted to the first crash at the World Trade Center, but they are initially uncertain as to whether it was a terrorist attack or an accident. [Council on Foreign Relations, 9/12/2016; WKRG, 9/12/2016] Most days, at 8:30 a.m., CIA Director George Tenet holds a meeting in his conference room at CIA headquarters where 15 of the agency’s top officials report the news from their particular area. Those at the meeting this morning include Deputy Director John McLaughlin, Executive Director A. B. “Buzzy” Krongard, Deputy Executive Director John Brennan, and Director of Public Affairs William Harlow. Because Tenet is away in Washington, DC, having breakfast with former Senator David Boren (D-OK) (see (8:50 a.m.) September 11, 2001), Krongard is chairing the meeting this morning, according to journalist and author Ronald Kessler. However, according to Brennan, McLaughlin is chairing it. Officer Interrupts the Meeting to Report the Crash - A few minutes before 9:00 a.m., the senior duty officer of the CIA’s Operations Center enters the conference room and interrupts the meeting. He tells the officials that a plane has just crashed into the WTC. He presumably learned this from seeing the coverage of the crash on television. The Operations Center, on the building’s seventh floor, has three large televisions that are usually tuned to CNN, MSNBC, and Fox. Stanley, Inc logo. [Source: Stanley, Inc.]Two of the government contractors who improperly accessed Senator Barack Obama’s (D-IL) passport records (see March 20, 2008) are revealed to have worked for a Virginia-based firm, Stanley, Inc, before being fired. A third, who accessed both Obama’s and Senator John McCain’s (R-AZ) records (see March 21, 2008), worked for the Analysis Corporation. Both Obama and McCain are presidential candidates. Their files were improperly accessed by contractors working for the State Department. Stanley, Inc - Both of the Stanley contractors were fired the same day they performed the unauthorized search, according to a Stanley spokeswoman, who refuses to identify the contractors or explain why either of them accessed Obama’s files. In 2006, the State Department awarded Stanley a $164 million contract to print and mail millions of new US passports. Just this week, the firm was awarded a $570 million contract to “continue support of the US Department of State, Bureau of Consular Affairs/Passport Services Directorate.” Stanley does almost all of its business with the State Department; all of its employees are trained on the Privacy Act and must sign a Privacy Act acknowledgment before beginning work. The two contractors may have violated the Privacy Act when they broke into Obama’s files. The US has been conducting airstrikes against suspected terrorists in Yemen, but denying responsibility for them, according to cables provided by the whistleblower organization Wikileaks to the British daily The Guardian. The bombings are being attributed to local forces rather than the US in an attempt not to rile Arab public opinion. The Guardian breaks the story based on a number of cables provided by Wikileaks, which contain damning quotes. In a September 2009 cable Yemeni President Ali Abdallah Saleh told US President Barack Obama’s deputy national security adviser, John Brennan, “I have given you an open door on terrorism, so I am not responsible.” Following a strike that killed multiple civilians carried out by the US, but attributed to Yemenis in December 2009, US Ambassador to Yemen Stephen Seche cabled Washington to say: “Yemen insisted it must ‘maintain the status quo’ regarding the official denial of US involvement. Saleh wanted operations to continue ‘non-stop until we eradicate this disease.’” Just over a week later, Saleh told General David Petraeus, then head of US Central Command, “We’ll continue saying the bombs are ours, not yours.” This prompted the deputy prime minister, Rashad al-Alimi, who was also at the meeting, to joke that he had just “lied” by telling parliament the bombs in Arhab, Abyan, and Shebwa (the alleged al-Qaeda strongholds) were American-made but deployed by Yemen. In addition to the secret bombings, the Yemen-related cables published by The Guardian on this day deal with Yemeni reluctance to meet some US demands, the inaccuracy of some US weapons, large payments to be made by the US to Yemen, the Saudi Arabian reaction to the strikes, poor counterterrorism training for staff at Yemeni airports, Yemen’s unwillingness to share information about Ibrahim Hassan al-Asiri, alleged to be an al-Qaeda bomb-maker, and poor counterterrorist infrastructure in Yemen. [Guardian, 12/3/2010] Before the “war on terror,” the last time the US bombed a country in secret was during the Vietnam War, when the US bombed Cambodia (see March 15-17, 1969). It was a New York Times report on the bombing that was one of the spurs behind President Richard Nixon’s formation of the later-infamous “plumbers” unit (see May 9-10, 1969). Michael Leiter, the director of the National Counterterrorism Center, says he thinks the odds are less than 50 percent that bin Laden is there. 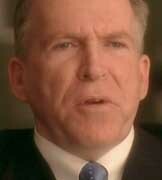 Deputy National Security Adviser John Brennan is in favor of going ahead with the raid. CIA Director Leon Panetta also is in favor. He says the odds of bin Laden being there are between about 60 and 80 percent. He also says that the “red team”—analysts only recently brought in on the intelligence on the compound to get an outside opinion—agree that bin Laden is probably in the compound. In the days and hours after the US Special Forces raid that kills Osama bin Laden in his Abbottabad, Pakistan, hideout (see May 2, 2011), some US officials question whether anyone within the Pakistani government knew that bin Laden was hiding there. John Brennan, the White House’s top counterterrorism adviser, says that bin Laden’s presence in the Abbottabad compound “raises questions” about what some Pakistani officials might have known. He adds that while Pakistani officials “seem surprised” to hear that bin Laden was hiding there, he wonders how “a compound of that size in that area” could exist without arousing suspicions. Controversy over Indefinite Detention Provisions - Though 86 percent of US senators and almost two-thirds of the House of Representatives voted to pass the NDAA (see December 15, 2011), and the bill is signed by Obama, the military detention measures are opposed by a number of constitutional experts and public interest organizations, and a significant percentage of the general public (see December 22-26, 2011).